for $279,000 with 4 bedrooms and 3 full baths. This 1,850 square foot home was built in 2005 on a lot size of 0.32 Acre(s). Lakefront! Lakefront! Lakefront! Furnished and Ready to Move In! 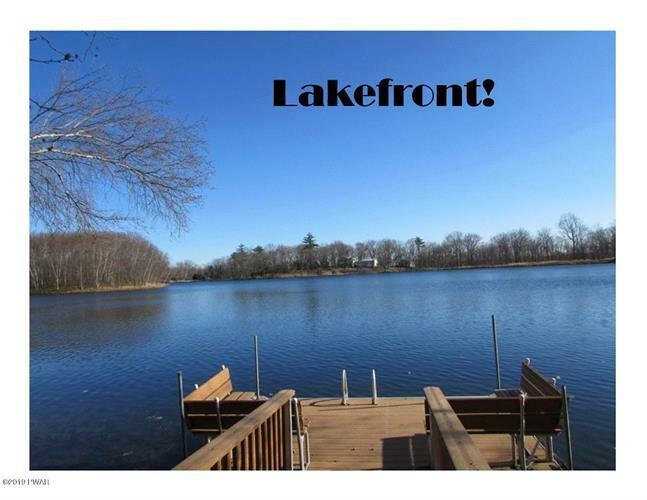 Almost New Lakefront, Living Room with Stone Faced Wood Burning Fireplace, 4 Bedrooms, 3 Bathrooms, Finished Walk Out Lower Level Family Room with a Sliding Door to a Patio, Sauna, Deck, Shed, and Children's Play Area. Swim and Fish from a New Dock! Copyright 2019 Pike Wayne Association of Realtors. All rights reserved. This property information is provided courtesy of The Pike Wayne Association of Realtors. IDX information is provided exclusively for consumers' personal, non-commercial use and may not be used for any purpose other than to identify prospective properties consumers may be interested in purchasing.